Whether it’s finding people with the right skills, attracting the right cultural fit, or even identifying what part of a resume is exaggerated, hiring the right talent is still a huge issue for many businesses. 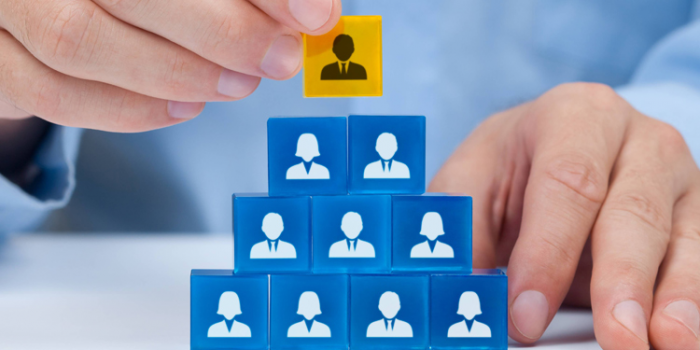 As the race to attract and retain top talent heats up, companies are turning to HR software to help achieve this mission. It’s estimated that 58 percent of HR staff time is spent on administrative tasks, so one of the major benefits of HR technology is that it helps streamline those processes. Not only do these systems help automate manual tasks, they provide businesses with valuable data. We’re not just talking simplified reporting capabilities here. The best HR software now includes impressive recruiting analytics and analysis functions. Businesses now have the ability to see exactly which hiring methods are working. And now that tedious HR tasks are being automated, they have the time to focus on strategy. This improves the entire hiring process by making sure every effort is in line with recruitment and retention objectives. HR analytics tools that collect, aggregate, and interpret data can help businesses improve hiring and recruitment decisions. HR data can help businesses find the right expertise at the right time as well as analyze the efficiency of their entire process. Let’s examine four ways using HR business intelligence data can help you refine your recruitment process. If no one is applying to work at your company, then you’ll have a hard time growing your team. Making your hiring process more effective starts with looking at the web data on your digital applications. How many people are looking at your career page? How many people are actually applying? If the conversion rate of your job applications is low then it’s time to do some A/B testing. Can the copy be improved? Is the interface easy to use? Don’t lose out on the right candidates simply because your application form is too difficult to complete. Every HR department should not only know where all their applicants are coming from, but also which sources yield the best applicants. Businesses need to ensure they’re sourcing people who are right for the job. If you’re getting a lot of applications, but have a low qualified applicants per job opening ratio, you should reevaluate your sourcing practices and the standards for the position. Evaluate where applicants are coming from and if your expectations and qualifications are clear. Another benefit having sourcing analytics is that once you’ve hired a few candidates and evaluated their performance, you can cycle back to see where your top performers are coming from. By knowing what recruiting efforts are most effective, you can adjust your sourcing process to improve the talent quality in your company. Does your company have a high 90 day retention rate? Turnover in the first three months, whether involuntary or through resignation, lets you know if you’re attracting the right people. It may be a skill mismatch, a poor cultural fit, uncommunicated job expectations, or something else that could have been caught in the hiring process. If you’re hiring workers only to find out they are not capable, then you’ll need to rethink your hiring process. For example, a skill assessment or testing tool will help you swiftly filter out candidates that aren’t qualified, saving you the expense of early resignations (or firings). Another tactic to help mitigate risk and increase employee retention is to offer candidates in-office evaluations. Allowing a “test drive” of the job provides transparency into the position and gives prospective employees a chance to know what to expect if an offer is made. HR technology allows companies to see where their hiring efforts stand at any moment, there’s no need to wait for a report — you can evaluate your hiring process anytime with a glance at your dashboard. HR data can let you know if your company is getting qualified applicants, where they’re coming from, and if you’re expectations, training, and on-boarding processes are aligned. But the possibilities go beyond that. From using software to manage your compensation budget, to ensuring every applicant has the same hiring experience, to simulating hiring scenarios, HR business intelligence data can help companies evaluate the efficiency of their recruiting process. The race to find top talent shows no signs of slowing down. By focusing on data, businesses can make sure they’re recruiting the same people they want to retain.